OMG Floam with yellow <3 These are awesome! 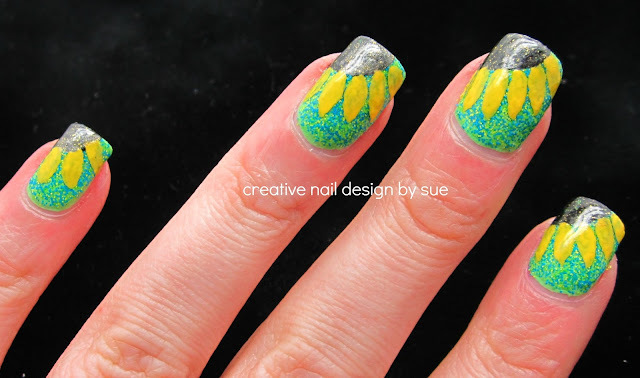 Love the sunflower design on floam nails. Awesome. I love it! The floam is a perfect background for the sunflowers and the color combo is perfect. Very nice job...awesome! Love it! Love how the floam looks with the sunflowers! WOW your sunflower design is awesome! Wow, I love it with the sunflower, it is sooo pretty! I love the sunflowers!!! Floam turned out to be the perfect background for them! This is a perfect combo! I love your idea to add sunflowers to floam! They look great.